They put words on a page for actors to interpret and resolve everything by the end of the show. Simple, right? 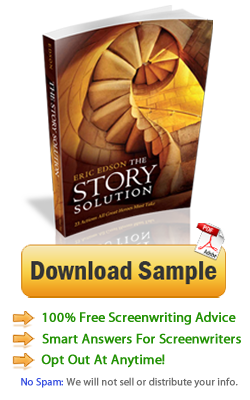 Eric Edson, author of The Story Solution: 23 Actions All Great Heroes Must Take, knows that creative screenwriting can be much more difficult than it appears. He advises up-and-coming television writers to learn as much as possible about their chosen industry before tossing their hats into the television game. Eric’s book describes how to achieve screenwriting success through the development of a great hero. Most television dramas or comedies revolve around a central character – the hero. The Story Solution contains guidance on writing Hero Goal Sequences® and outlines the 23 actions used to create a forceful emotional ride. To learn about the business side of the industry, Edson advises aspiring authors to seek advice from experienced TV writing consultants. A TV writing consultant can help you learn how to write within the time constraints of the television medium, teach you about what audiences are looking for in characters, and show you how to sell a TV spec script to producers. Eric Edson reviewed several top TV writing consultants who might become part of an industry newcomer’s advisement team. The accomplished educator, author and screenwriter wanted to make sure up-and-coming authors could find consultants who have valuable insights to offer. His selections were based on reputation in the television industry, background experience, and effectiveness at helping emerging authors. 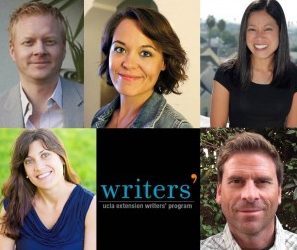 Learning from these TV writing consultants will help newcomers understand how to write scripts that make it to the small screen. If you are seeking knowledge that will help you sell a television script, consider learning from these writing consultants. Ellen Sandler, leading TV writing expert and career coach, is the ideal consultant for the writer who wants to break in to the entertainment industry and chart a long, successful career in television. Emmy-nominated Co-Executive Producer of Everybody Loves Raymond and veteran writer/producer of hit television shows, she offers insight and expertise as well as creative support and direction.Visit the website and Facebook page or call 310-383-3772 for more information. Jen Grisanti Consultancy Inc. helps writers accomplish their writing goals through one-on-one consults, seminars, teleseminars, networking events and podcasts. As a Current Programs Executive for both Spelling Television, Inc. and CBS/Paramount, Jen staffed, advised and guided the writers and directors of top primetime shows for twelve years. Visit the website and Facebook page or call 323-944-0962 for more information. Michele Wallerstein is a screenplay, TV script, and novel consultant. 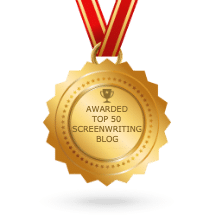 Her TV script doctoring and novel consulting helps writers develop their work, thereby improving their chances of a sale and/or obtaining an agent. Wallerstein’s former work as a Hollywood Agent has given her the tools as a screenplay consultant to improve your work and help make it saleable in today’s market. Visit the website and Facebook page or call 818-501-2826 for more information. Finding a TV writing consultant can be a challenge. 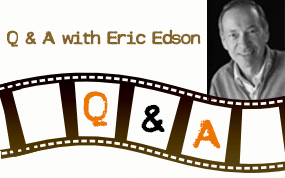 Eric Edson is committed to helping aspiring screenwriters and TV writers quickly gain an insider’s knowledge of the script writing business, but he knows that finding a TV writing consultant can sometimes be a challenge. This review aims to help readers of his screenwriting book, The Story Solution, to simplify their research for strong TV writing consultants. These three highlighted TV script consultants are not the only good ones out there, of course! But they are surly among the very best. We hope this information gives you additional resources with which to pursue insights into the television writing process. Personally, I truly admire writers who can create quality and outstanding outputs with limited time. Indeed, these writers are the masters of their own craft. But before they reached this status, I am certain that they have undergone thorough and rigid trainings from various people and institutions. Hence, I agree with Eric Edson that aspiring writers must ask the guidance and support of experienced TV writing consultants in order to excel in this industry. Upon reading this article, I truly agree with Eric Edson’s suggestion for aspiring writers to ask the help and guidance of credible TV writing consultants. Through this way, writers can gain sufficient and exceptional knowledge and skills on TV writing.